If you own a company that rents out various types of equipment, you obviously know that you encounter many different obstacles in order to maintain your profitability. RASTRAC and our Live Tracking technology will be able to make your rental equipment company increase revenue by decreasing theft, allowing you to locate and organize the equipment currently in your yard, and ensuring that your staff is in compliance with delivery. With RASTRAC, you have the ability to keep track of engine hours and scheduled maintenance while your rental equipment is out with your customer. You can schedule alerts to be sent when any type of maintenance is required, if any part of the equipment is in distress, or even if the equipment leaves a pre-determined area (geofence). A huge benefit to the RASTRAC solution is the engine kill, or starter disable, function. If your equipment is stolen, or if a customer is behind on any payments, you have the ability to restrict the use of the asset by disabling the starter so the equipment will not be able to function. Contact RASTRAC today for a demonstration of this valuable tool. 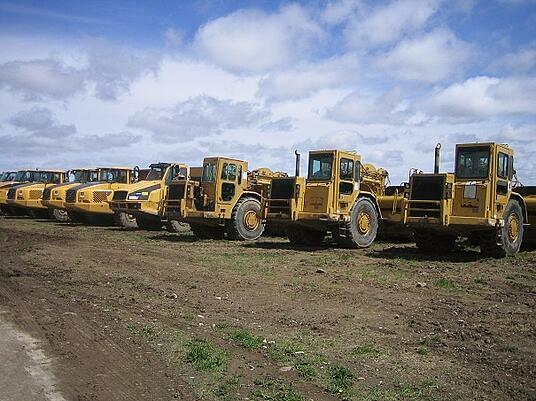 We have a huge success rate in the recovery of stolen equipment.